My family is long overdue for a vacation. I think we’re all a bit burnt out, need to escape from reality for a bit and reconnect as a family. Our last family vacation was the summer that Turtle turned 1 and it was more of a long weekend away with a couple of other families. 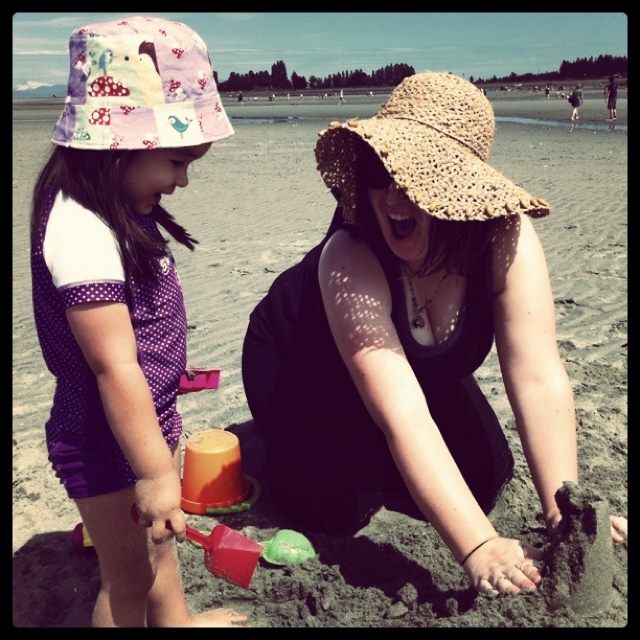 The mom in me wants to relax on the beach, read a book, make sandcastles and splash in the water. The creative in me wants to be inspired by artists, eat delicious food and witness how people are living a more “Back-To-Basics” lifestyle, living simplistically and creating amazing things they are passionate about. A photo of Bean and I that was taken during a fabulous family vacation… way too long ago! Living in Vancouver we have our choice of incredible vacation options right at our own back door. When I think of my “wants” for our vacation I keep coming back to the same place over and over and again in my head– Salt Spring Island. Salt Spring Island is known around the world for their amazing cheeses, lavender, bakeries, artisans and their Saturday market. The Hubs and I started looking at availability for vacation properties on the island this summer and the one thing I’ve been the most adamant about is: We must be there for one entire Saturday. We can’t be arriving on Saturday or leaving on Saturday… I don’t want to miss a minute of the market. The market sounds like my idea of heaven– 140 booths filled with world class potters, jewellers, fibre artists, woodworkers, fine art & photography, body care, clothing and accessories, farm fresh produce, baked goods, farmstead cheeses, homemade snacks, organic food and more. I recently received an email that made me give a little squeal! Turns out that I won’t have to wait for the summer to experience the Salt Spring Island Saturday market… because the market is coming to me! Yep! Over the March 27 to 29th weekend all of my Vancouver area friends can experience Salt Spring in the City, where the treasures and flavors of the Salish Sea will be showcased! Visitors to Vancouver’s Heritage Hall will get to experience food and fashion, paintings and pottery, wine and crafts, and a sense of nostalgia for the West Coast’s homesteading, handcrafted bohemian heritage. 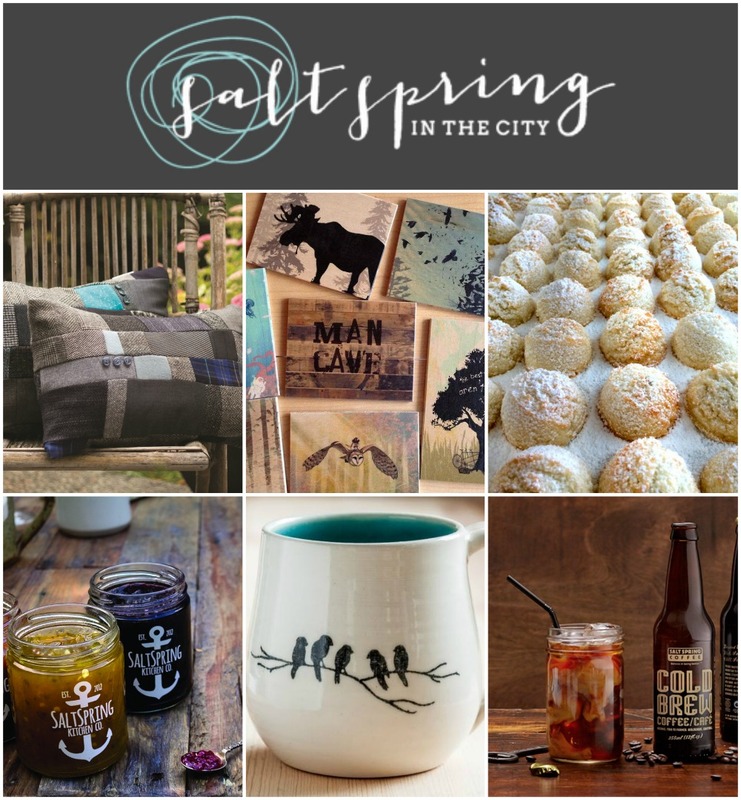 Salt Spring in the City will take over Heritage Hall (3102 Main Street) on Friday, March 27, 4:00-9:00PM, Saturday, March 28, 10:00AM to 6:00PM, and on Sunday, March 29, from 10:00AM to 5:00PM. Wall Hanging trust print Harosef, Salt Spring Ales Beer, Salt Spring Coffee and Tavel mug.